The beautiful red O-higan-bana are blooming in the gardens of Shokukuji temple near my house. 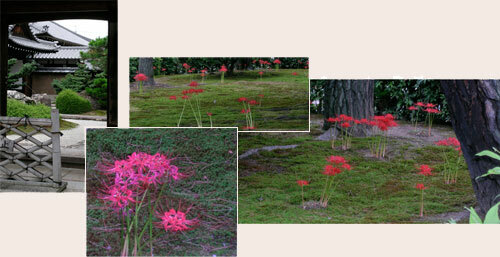 Known as “red spider lilies” in English, O-higan-bana translates literally as “the equinox flower” since it blooms suddenly but briefly, around the time of the Fall Equinox in late September. They spring up almost overnight in clumps and clusters throughout temple gardens and along the narrow paths through rice fields, a last showy gasp of fiery flowering color before the full onset of autumn. The equinoxes, both of them — spring and summer, are national holidays in Japan. So Tuesday was a day off my normal work schedule and a chance to do a bit of catching up. Which means it was finally time to unbundle those bundles of haori that I bought a few weeks ago and prepare them to be posted on the Vintage Kimono section of my website. That involves quite a bit of work behind the scenes, so I was really grateful for the help of Wendy Carroll, good friend and dear heart, for spending part of her holiday helping me get started with the measuring and cataloging that needs to be done. With a friend to help the task speed along, each colorful piece of this jumbled bundle was tagged and measured by the end of the day. Next comes the photography, trying to show the color, the details and making sure to identify any flaws. But making pictures of garments on a homemade scarecrow appealing must require a special talent, and thus far such talent has eluded me. 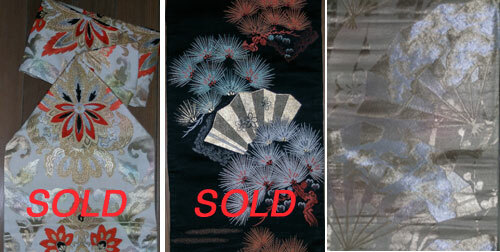 But I will keep trying and soon, I hope, these lovely little kimono jackets will be listed for sale. 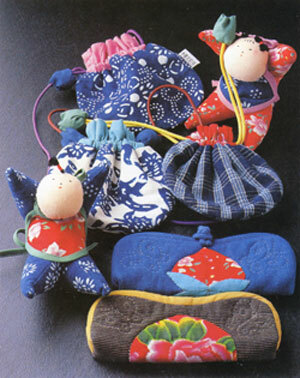 This entry was posted in holidays, Japanese fabrics, kimono, Kyoto living on September 28, 2008 by admin. It’s been so hectic these last few weeks that I’ve barely had time to breathe, let alone open my beautiful bundles of haori that have patiently waited for my attention for almost two weeks now. But hectic as its been, I still squeezed in the time to enjoy the Kazari exhibition at Kyoto City Museum before the show closes. 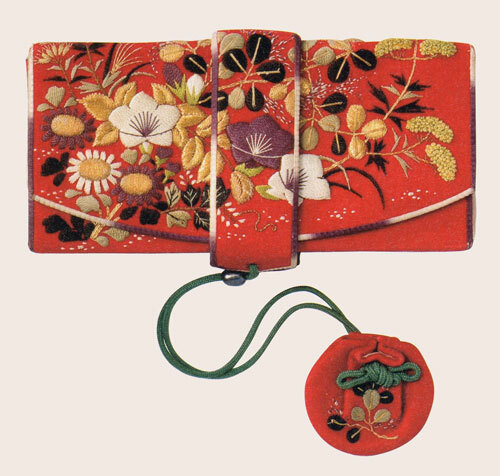 Kazari is a Japanese word meaning “adornment” and this exhibition was devoted to the history of the Japanese penchant for adorning object surfaces with beautiful and intricate designs and then arranging those objects to adorn public and private spaces. The world of Japanese design is so often renowned for it’s brilliant minimalism and yet intricate elaborations of surface design also play a strong role as shown by the items selected for inclusion in this exhibition. The elaborate Jomon pottery shown at left dates back some 10,000 years to the earliest hunter-gathering societies of pre-historic Japan. Although its peaked and coiled form may defy practicality and its uses remain uncertain, this vessel is but one of the hundreds of such archeological finds from that era. 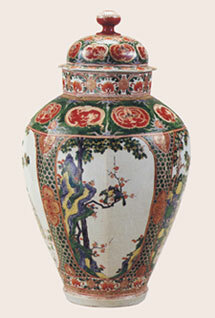 In contrast, the Arita porcelain jar shown at right was produced several millenia later in the 18th century Edo period, yet it reflects an equal penchant for elaboration. 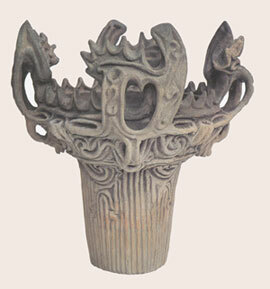 In this case, however, the form has been simplified while intricately painted glazes provide the design interest. 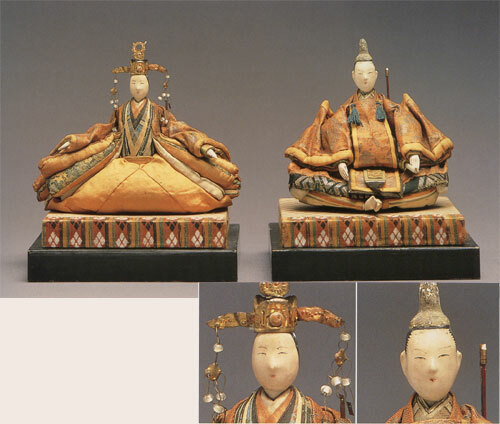 With dozens of examples in each category, there is of course no way to reprise the entire exhibition for you here on my little blog — pottery and porcelain, saddles, swords and armor, lacquered boxes, hair ornaments and altar pieces, each decorated exquisitely with painstaking attention to the finest detail. 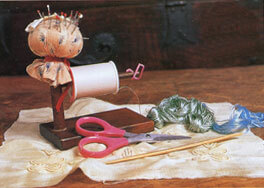 But of course, my favorite pieces in any show are always the textiles. 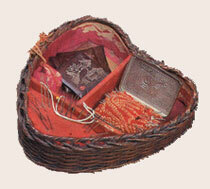 Below are a few of the exquisite little embroidered pouches. 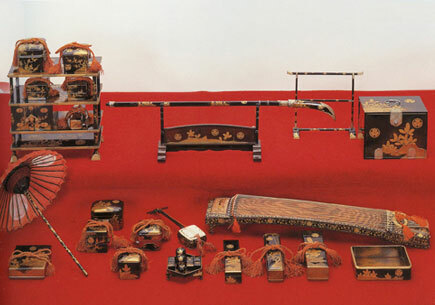 The two sets shown immediately below feature bamboo and chrysanthemum designs, respectively, would have been used by a man to carry his tobacco and pipe in elegance and style. 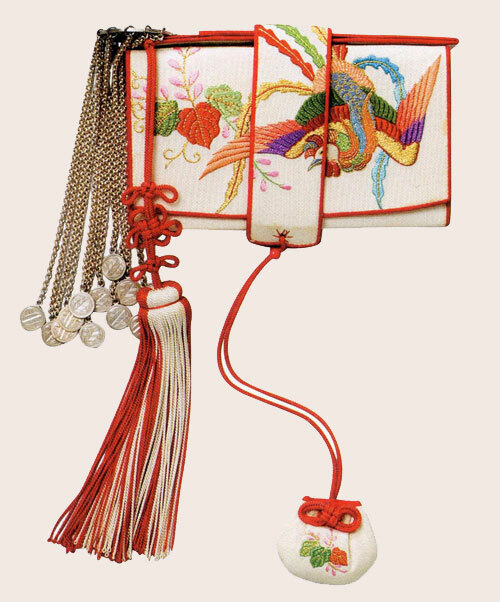 The purse at right might have been carried to Tea ceremony. 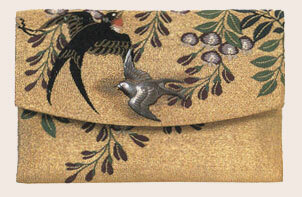 Notice the the tiny carved bird that forms the clasp in perfect complement to the embroidered swallow. 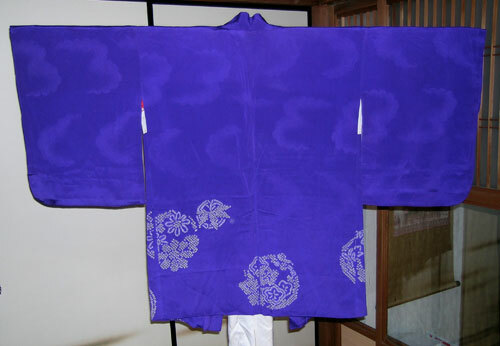 And of course, kimono. With so many many many gorgeous examples it was hard to choose a favorite. 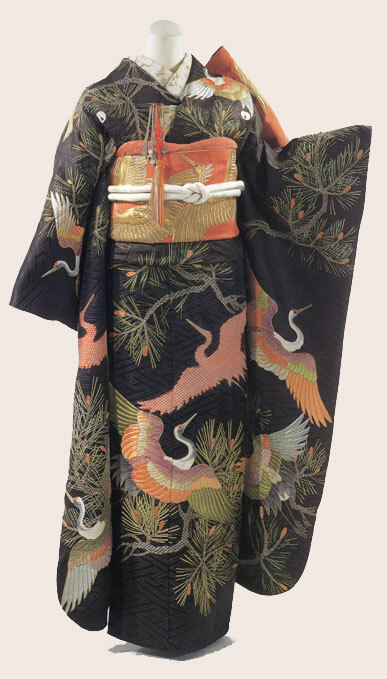 This one from the early 20th century features birds among bamboo in the snow, dyed and accented with embroidery. And even though I had an insufficient amount of time to spend surrounded by such beauty, I went away uplifted. 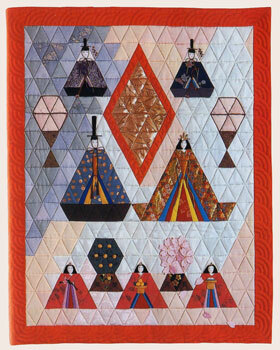 This entry was posted in Japanese fabrics, kimono, Kyoto living on September 15, 2008 by admin. Sunday was a wonderful day spent in my favorite way — pawing through colorful silks, inspecting and selecting vintage kimono at my dealer’s warehouse. 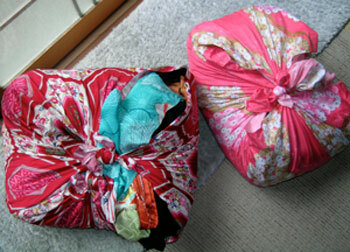 At right you see my bundles of purchases, wrapped in the traditional way in extra large squares of fabric called furoshiki. (So much more charming than a shopping bag!) 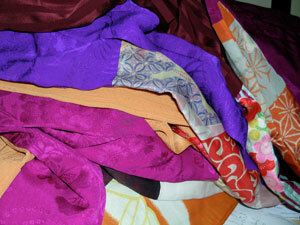 You can see one of my purchases in bright turquoise silk peaking out of the top of one of the bundles. Sunday’s shopping spree focused on a particular part of a kimono ensemble,haori. These are kimono jackets or coats. 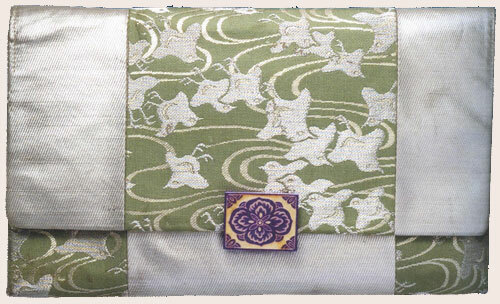 Haori can be made of silk, silk cotton blend, or wool and feature patterns that are just as lovely as those on kimono themselves. But since haori are jackets, they are much shorter — ranging from hip to knee length — and they look great with western clothes. Awhile back, I gave a lovely haori to a girlfriend in San Francisco and heard that she paired it with black silk trousers to make an absolutely glorious outfit that she wears to the opera. Sadly though, this is Monday morning and I must trot off to work. My bundles must remain bundled till later in the week when I can begin cataloging and photographing them to post on my vintage kimono site. As I start to post my new acquisitions for sale, I’ll e-mail notices to those who have requested it. 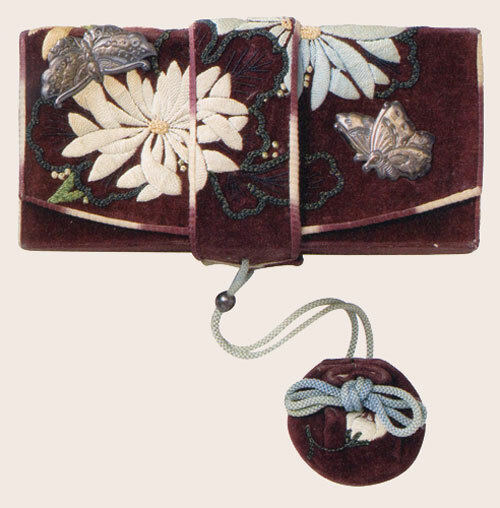 If you’d like to be on that mailing list, click on the “Buy Vintage Kimono” link on the menu bar above, then click the link on the kimono page to sign up for e-mail notices. You’ll be among the first to know when these treasures go up for sale. 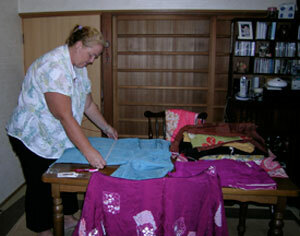 This entry was posted in Japanese fabrics, kimono, Kyoto living on September 1, 2008 by admin. With temperatures regularly reaching 35°~39°C/95°~100°F and humidity between 60 and 80%, summer in Kyoto can be rough, which makes the archeological textile rooms at local museums a particularly favorable summertime outing. Not only are the rooms temperature and humidity controlled to preserve the ancient fibers, but also the dimmed lighting that protects the ancient dye offers a welcome relief from the summer glare. So of course, when I saw a flyer advertising an exhibition of Noh kimono at Sen-Oku Hakuko Kan, I jumped at the chance to see it. Admittedly, I’m an avid kimono fan who would have jumped at the chance in midwinter as well, but my little museum excursion did make a particularly nice respite from the afternoon’s heat. 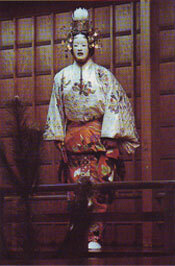 Noh is one of several theatrical traditions in Japan and dates back to the Muromachi period (c.1400-1500 AD). 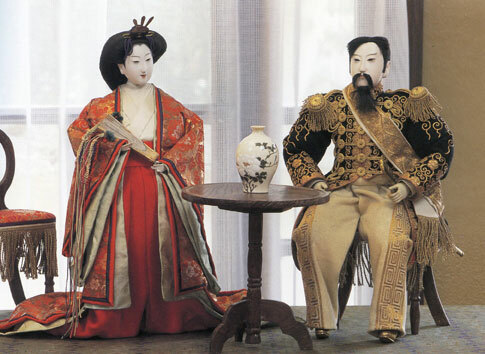 It’s thought that Noh evolved from a complex performance of acrobatics, dancing, music and singing that blended both the public performances presented to commoners and the solemn music, dance, and ceremonial performances at the imperial court and aristocrats’ residences. 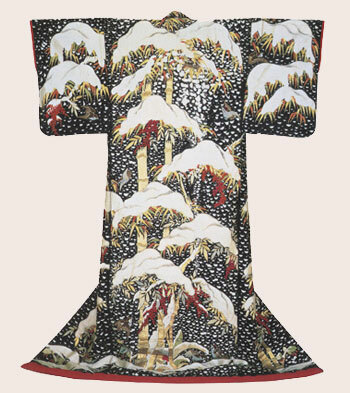 Due to its immense popularity, Noh plays drew large audiences and thus the costumes tended to feature bold graphic designs that helped to distinguish the role being played by reflecting some attribute of the character being represented. 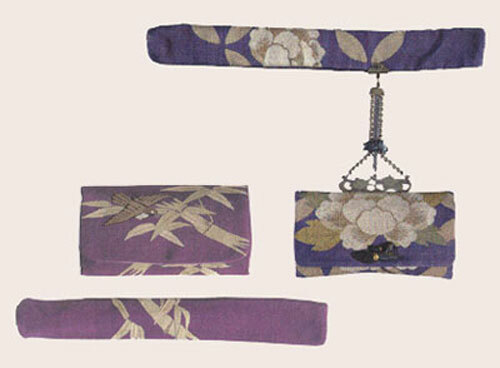 Many of the kimono on exhibit dated from the Momoyama period and as such represent prototypes from which the tradition evolved. 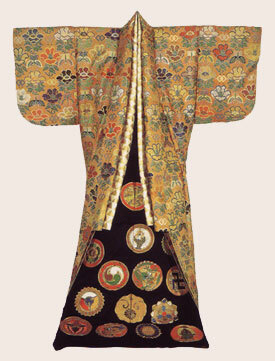 Noh robes also tend to be quite voluminous with relatively small sleeves. To some extent that reflects the prevailing structure of garments in the Momoyama period, but presumably this loose fit also facilitates quick costume changes for performers playing multiple roles. And although many of the designs appear to be embroidered, quite often they are the product of an intricate weave that manipulates dozens of shuttles to float variously colored weft threads across the patterned area. 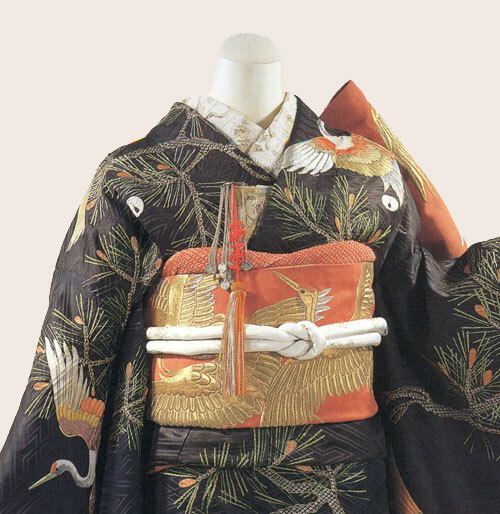 Although some of the oldest garments show a loss of pattern on certain sections as these threads have worn away, it’s truly remarkable how carefully these treasures have been preserved in a climate as humid and changeable as Japan. 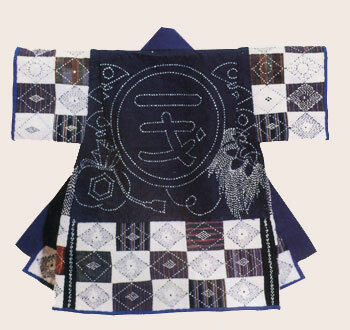 Another unique feature of Noh robes is the use of color blocking as part of the design. It was the friend I saw the show with that drew my attention to that. 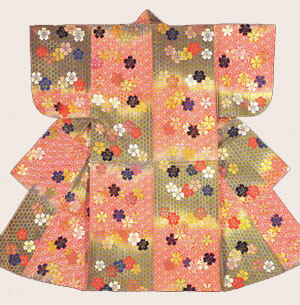 Neither of us could recall seeing other types of kimono with such bold blocks of color that seemed to form a large checkerboard underlying the pattern. 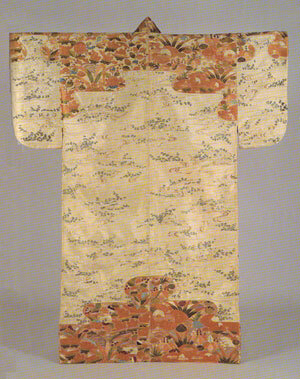 Though the example shown at left features an overall cherry blossom pattern in the foreground, many of the robes used those color blocks to bridge the seasons by placing a spring/summer pattern on one color block and a fall/winter pattern on the other, allowing greater versatility in the costume’s use throughout the year. 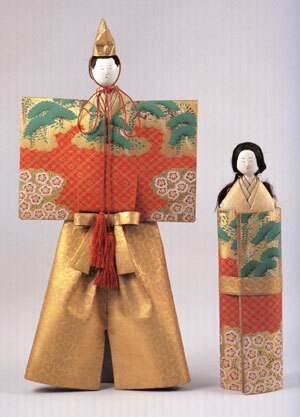 As suggested by all of what I’ve written so far, Noh costumes are among the most elaborate kimono still made. 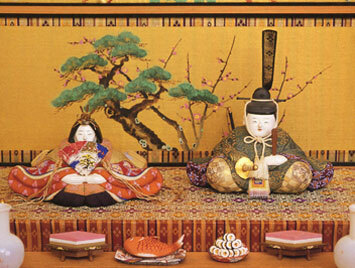 Noh is a living tradition that continues to be well loved by the Japanese people. The fabrics for modern Noh kimono are still woven here in my neighborhood of Nishijin and a new Noh theatre was recently constructed a few blocks down the street near my home. 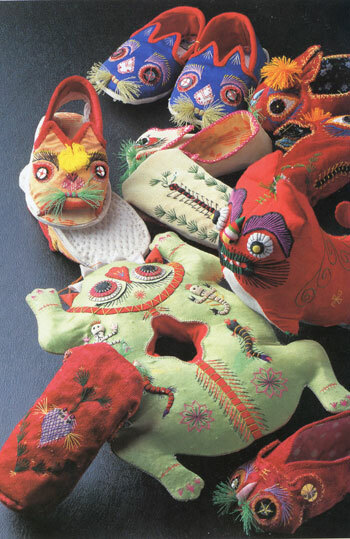 Performers wear not only these elaborate costumes but also intricately carved wooden masks. Painted with pigment and burnished to a pearl-like sheen, it is said that there are 60 basic types of masks, representing specific character types: men and women of various ages, demons, elders, warriors, ghosts and sprits etc. Despite the elaborate costume and mask, very few stage props are used in telling the story. Thus, the full weight of characterization relies on the actor and costume. 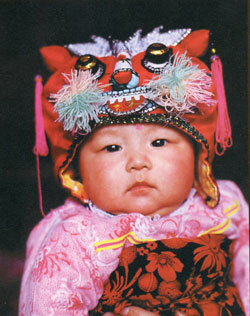 Colors and graphic patterns in the kimono and the type of mask worn, signal the nature of the character. From there, the story unfolds in the imagination of each audience member through movement and gesture, acting and singing. Each of the performer’s gestures and movements involves an elaborately ritualized choreography and it is said that the audience’s experience of the performance is dramatically affected by the position of their seating — not just closeness to the stage itself, but also whether the seat is positioned on stage left or stage right. As with so much else in life, each position offers a uniquely individual experience. 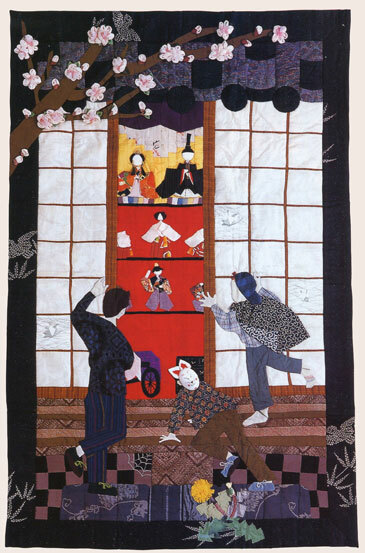 This entry was posted in Japanese fabrics, kimono, Kyoto living on August 3, 2008 by admin. Recently my friend and ikebana mentor Kazuko Nishikawa was invited to arrange flowers for an exhibition of maiko kimono at the Some Museum (Museum of Dyed Textiles). Maiko are apprentice geisha and their elaborate kimono are much more ornate and theatrical than those worn by the average Japanese woman. 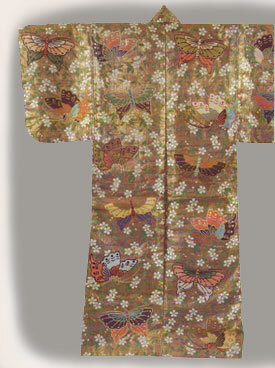 As befitting a young woman, the kimono are furisode style with long sleeves. And as shown at the picture at bottom, the obi also has long trailing ends instead of the more common flat square knot worn by married women. exercised by fully trained geisha, their duties mostly involve music and dance performances, which accounts for the colorful theatrical style of their kimono. 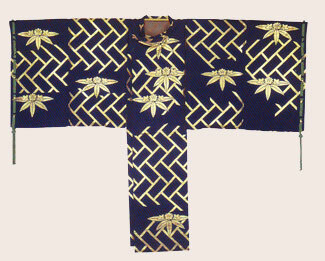 Maiko kimono are of course frequently decorated with brightly colored flowers and butterflies, but literary motifs are also common as are symbols of a traditional lifestyle. 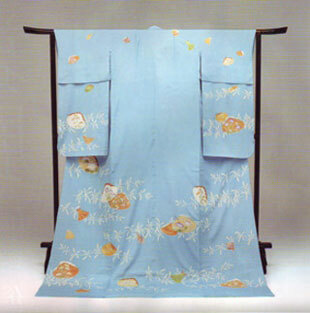 The blue kimono above features decorated clam shells, representing the kai awase game that was popular during the Heian era in the 11th century. 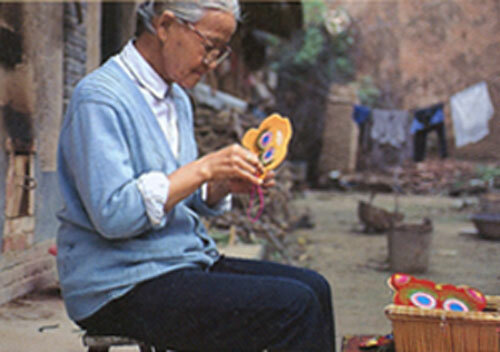 Similar to the card game “Concentration”, the game used sets of clamshells rather than cards. Matching scenes were painted on the interior surfaces of each pair of shells, while the exterior surfaces were polished to a smooth blank, making hard to recognize which pairs would go together when all of the clamshells were placed with the painted side down. 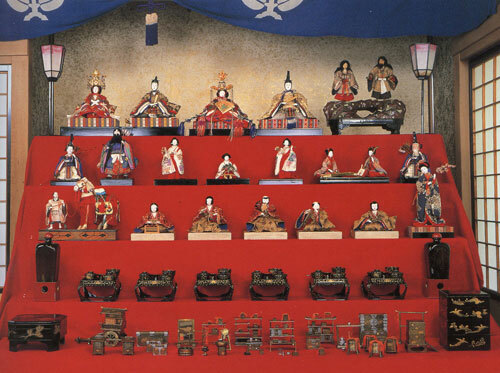 Some of the older sets contained as many as 360 pairs of shells, though simplified sets of 54 pairs based on scenes from Tale of Genji later became popular. 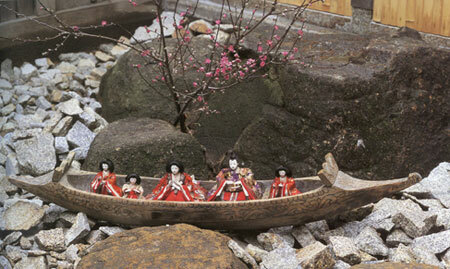 There are about 100 to 150 maiko in Kyoto. Most live and work in the Gion or Ponto-cho areas on the east side of town. They are considered professional entertainers and tourists flock to the area to glimpse a “geisha”, just as Hollywood tourists might hope to see a movie star. 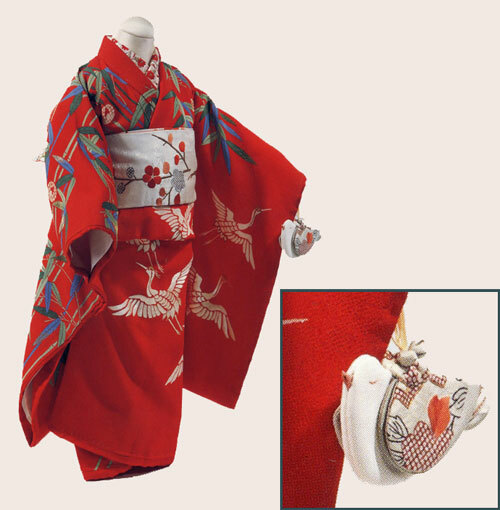 Maiko dance movements are highly stylized and use the long flowing sleeves to add a graceful flutter. The dance often represents a poem or enacts a literary scene. Click here to view a brief performance. This entry was posted in kimono, Kyoto living on May 26, 2008 by admin. In response to a request for pictures from my shopping spree the other day, may I present a dozen obi. 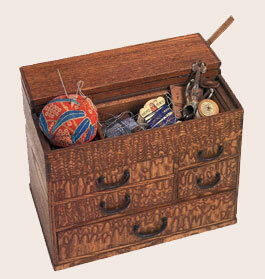 Of course, this is only a part of the collection…. What can one do with a dozen obi? There are a myriad possibilities. To jumpstart one’s imagination, I can certainly recommend Diane Wiltshire’s fabulous book, Design with Japanese Obi for home decor ideas. By the way, a blog reader wrote to ask if I would be willing to sell any of these and as you can see, we struck a deal. So if anyone else is interested, please feel free to use the contact button in the menu bar at the top of the page and we’ll talk. 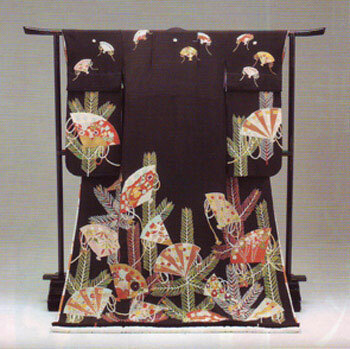 This entry was posted in Japanese fabrics, kimono on May 8, 2008 by admin.